Port Royal is the new marina on the river Saône. It enjoys a historic location at the foot of the town’s ramparts, built by Vauban. Situated close to the town centre, as well as businesses and nearby services, Port Royal offers moorings where your boat will be entirely protected by the secure access and the presence of a full-time harbour master. - Mooring : The marina offers several options for mooring your boat. You can moor in the water or store your boat on dry, either on our exterior storage yard (covered or uncovered), or protected in a building. - Marine Workshop : The workshop is an essential part of our company. Our workshop is made up of four technical sections: mechanical, painting, carpentry, and welding. Our technicians have an unequalled knowledge and are trained for all specifications of different types of boats. Our team of professionals is able to carry out repairs, maintenance and outfitting of your boat from A to Z. 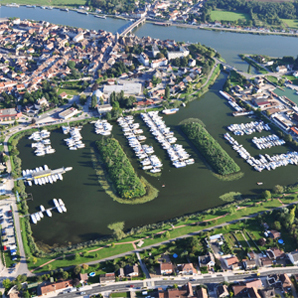 - Sale of boats : The port of St Jean de Losne (only a few kilometres from Auxonne) has a boat sales office. You want to buy or sell a boat? Our brokers will accompany you through the complete process of buying or selling, lending you their experience and advice. The international renown of our port, as much as our fleet of boats for sale, attracts numerous boat buyers each year. - Boat rental / cruising : Our sister company offers thousands of self-skippered cruises on boats that need no driving licence, on cruise boats, and on hotel barges. Our advisers, passionate about the navigable waterways, will help you to find the cruise of your dreams. Our agency is a member of the French national union of travel agents, SNAV, and guarantees you financial security, liability insurance, and professional competence. 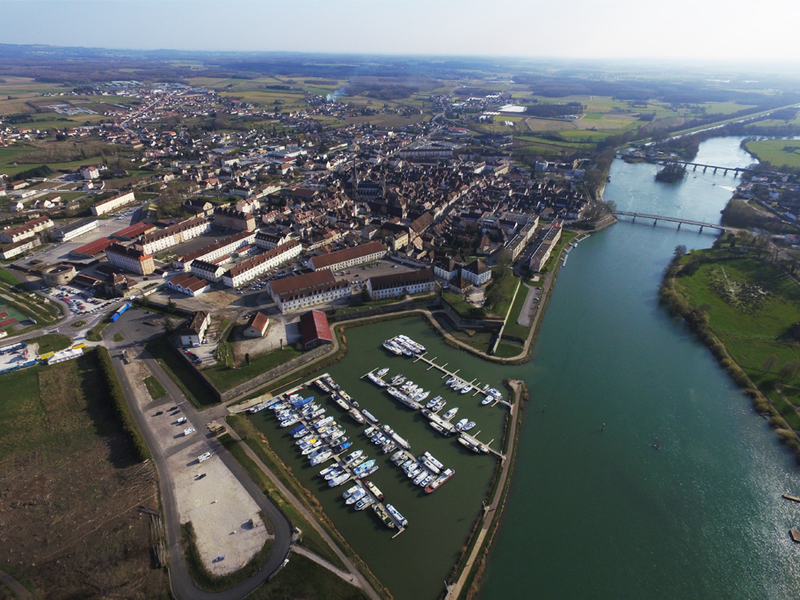 You want to get a mooring at the river port of Auxonne? Our harbourmaster’s office is open Monday to Saturday from 8.30 a.m. to 12.30 p.m. and from 2 p.m. to 6 p.m. You can reach us by phone under +33 3 80 39 23 00 and by email to h2o@h2ofrance.com.